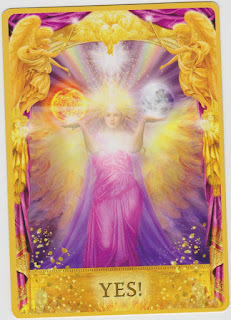 Card of the Day ~YES!~ Bravo! The decision you’ve made is the right one. There’s no need to continue to sort through additional options. You know what to do, and you should move forward with your plans! You’ve made the correct choice for your personal growth and development; however, some decisions can be a true challenge. If the task ahead of you is daunting or even sad, then proceed with your plans in a way that is life affirming and self-loving. 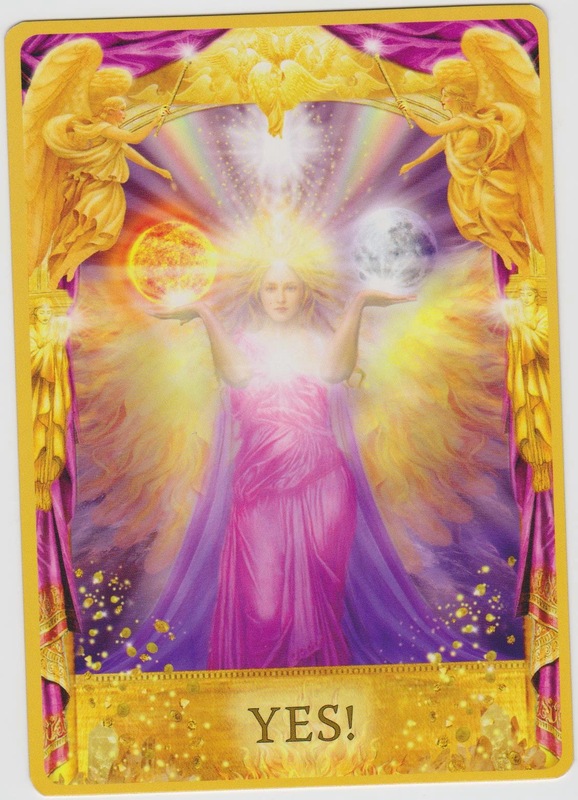 Ask your angels to be with you every step of the way, and don’t hesitate to call upon friends and family for support. Surround yourself with positive people at this time as you go through positive changes. Have a fantastic day. I love you all!